Skilfully distilled and deliciously light for a distinctive taste. Low in calories. No artificial sweeteners. 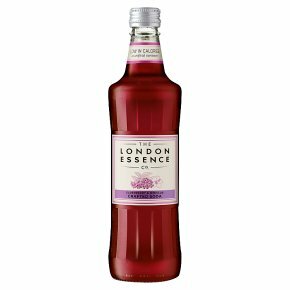 A precise blend of elderberry juice with a touch of distilled hibiscus essence for a rich and earthy flavour. Delicious on its own, or for a contemporary cocktail, add to blended scotch whisky or even aged rum. Sparkling drink; best served chilled. CAUTION: PRESSURISED CONTAINER, HANDLE WITH CARE.